In 1992, Martin was appointed Legal Counsel to the NSW Division of the Housing Industry Association (HIA). Martin later became the Chief Executive of the ACT Division of the HIA and then Regional Director in South Australia and the Northern Territory. 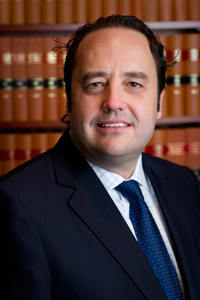 Between 2007 and 2009, Martin was the Vice President of HIA NSW and Member of the NSW Regional Executive Committee, a cross portfolio policy body dealing with planning, land supply, housing affordability, education, training (apprentice and post trade qualification) and taxation policy issues. Between February 2009 and February 2013 Martin served as President of HIA NSW. Between 2006- 2012 Martin also served on the Board of the Bobby Goldsmith Foundation. BGF is well known for the work it does in providing practical, emotional and financial support for those living with HIV and AIDs related illness. In late 2009 Martin became the President of BGF.